Hain Celestial, the leader in the organic and natural products market, wanted to drive sales and increase awareness at Natural Products Expo, the largest event in the natural food marketplace today. Their key objective was to showcase their myriad of products for investors as if they were displayed in a grocery store while incorporating product sampling areas and conference rooms to lock in sales onsite. To accomplish this goal, Gilbert designed a store-like exhibit that incorporated elements to help buyers envision Hain Celestial’s abundant product line. Inspired by supermarkets,, we sectioned each product line into its own dedicated space. We incorporated reclaimed lumber into their sampling stations to align with their commitment to sustainability and environmentally-sound business practices. Additionally, to boost sales and engagement, Gilbert separated the Personal Care section into its own “mini booth” that differentiated those brands from the rest and demonstrated their distinct values. A working kitchen with interactive sampling stations served as a fun way to learn about and taste products in the booth. 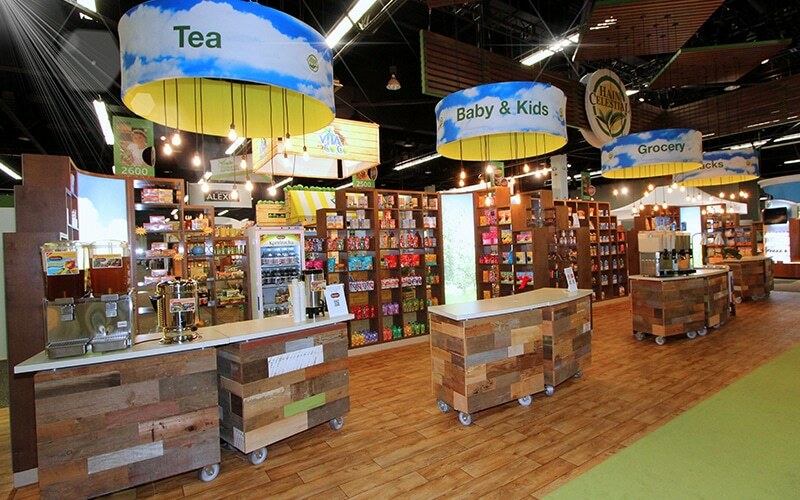 Overall, Hain’s presence at Natural Products Expo was a massive hit. On opening day, Hain Celestial’s CEO used the exhibit as a stage to talk to investors about their products and upcoming business plans which created a hype that lured in a surge of attendees. Their product sampling stations were flooded and led to a substantial increase in sales. 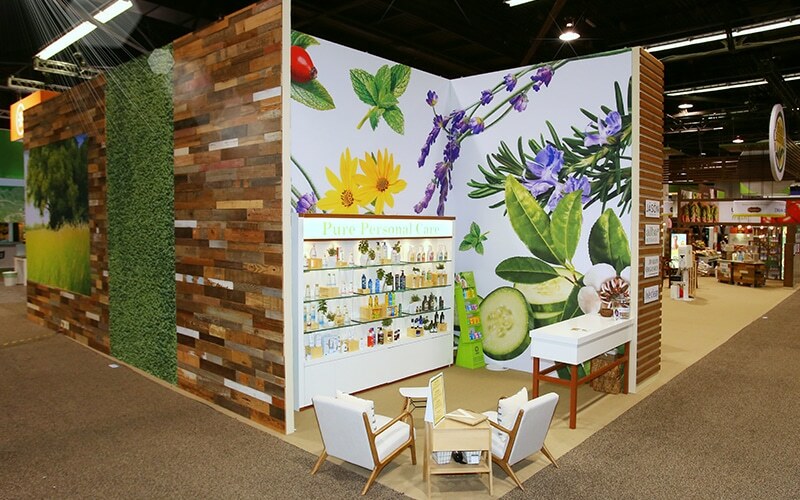 This interactive and educational platform coupled with the supermarket-inspired theme allowed buyers to feel a connection to Hain’s products and brand and made this activation a success.